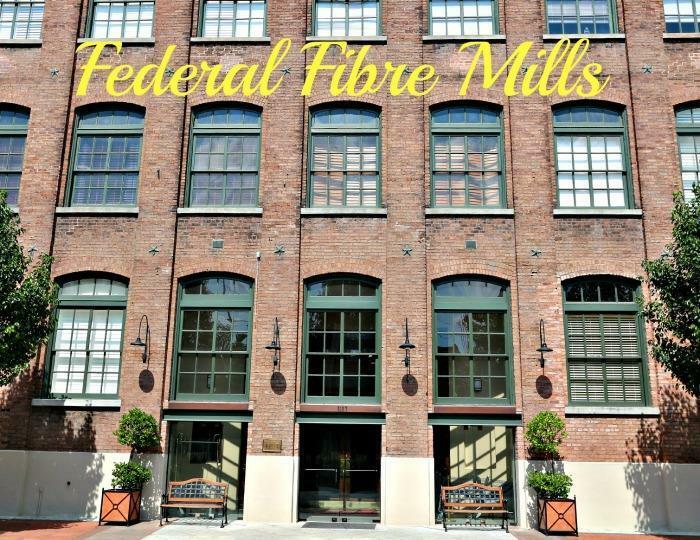 Designed in 1904 by architects Favrot and Livaudals the Federal Fibre Mills warehouse was completed in 1907 and used for the production of rope, largely for ships in port. It was used as a pavilion for the 1984 New Orleans World´s Fair. The old rope factory, built of heavy timber, is an interesting study of conversion efficiency. 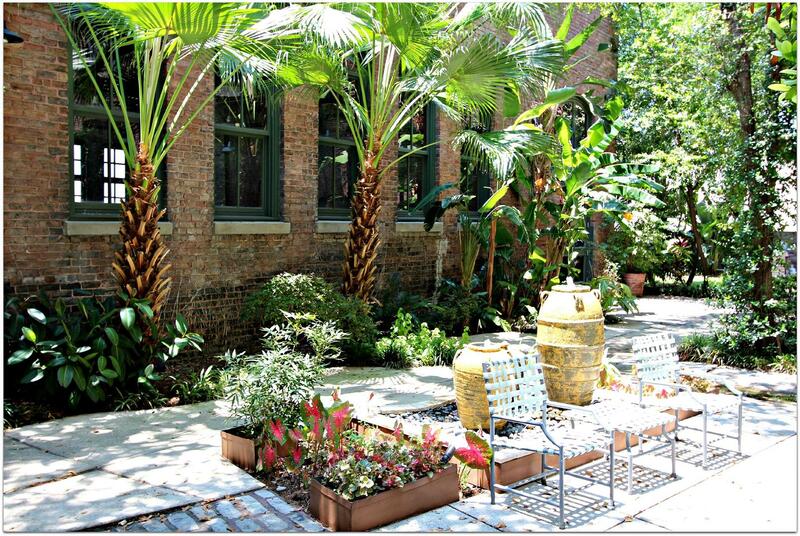 Over one million dollars was spent on initial cleanup with a deep desire to preserve the character and flavor of both the New Orleans tan bricks and the first growth heart of Southern yellow pine. 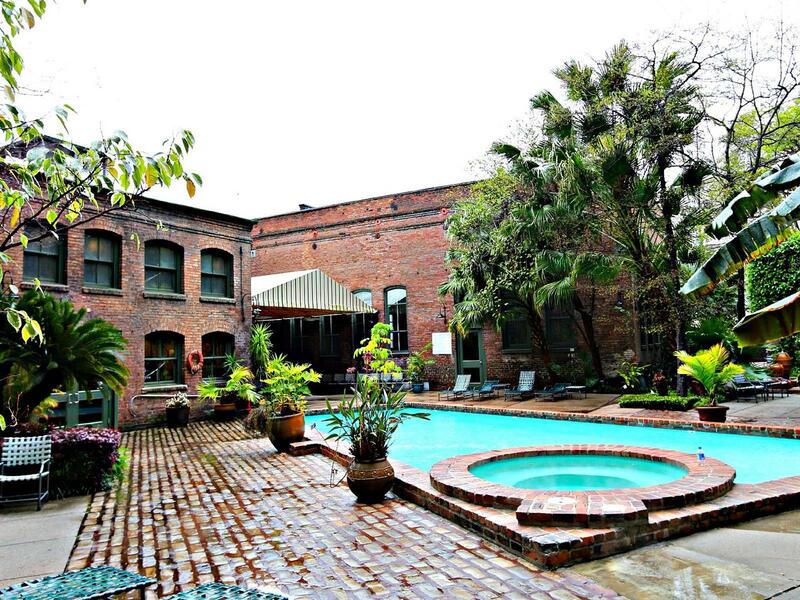 Because the building is listed on the National Register for Historic Places, strict guidelines for modification of the structure were followed. A fireplace which was part of the old office had each of its 1,000 bricks numbered so it could be assembled as it was. 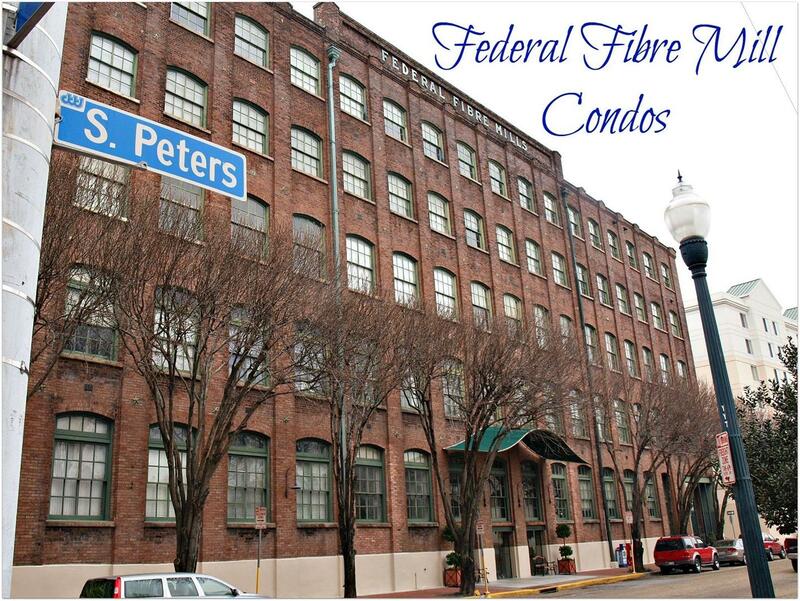 The Federal Fibre Mills is unique among condos in the warehouse District of New Orleans. It has a lot of great common areas and a lot of the origional details were saved. The building was part of the 1984 Worlds Fair in New Orleans. The monorail ran through the building and the apartments housed people that worked at the Fair. 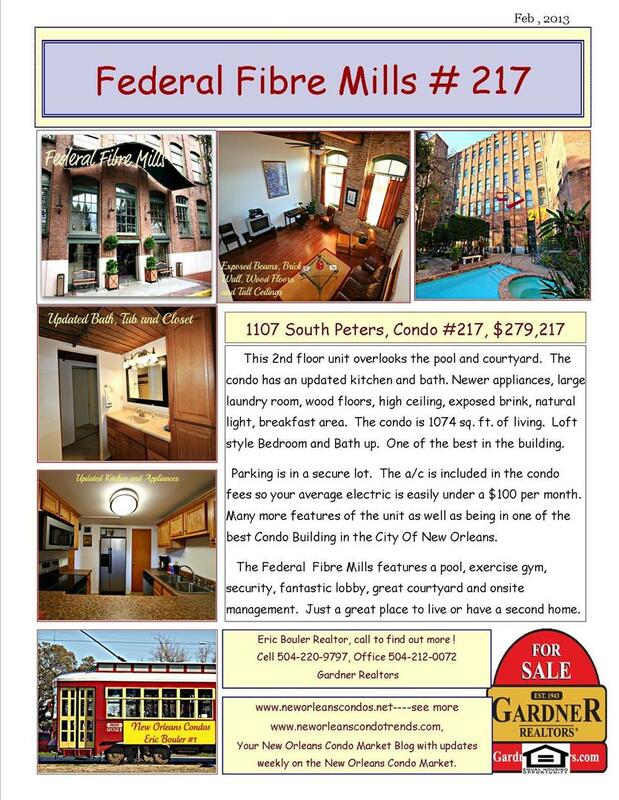 The 140 units vary in floor plans and sizes. 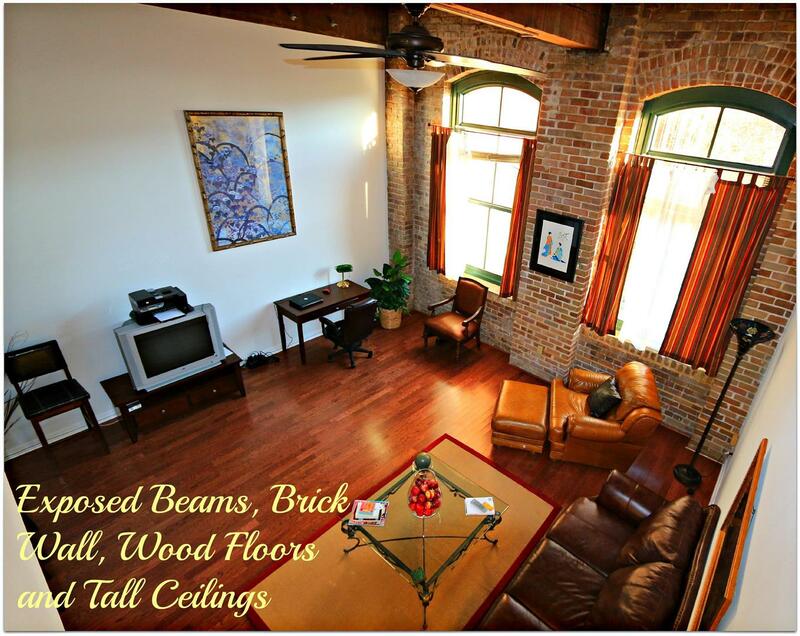 One of the more common floor plans is a loft layout where the bedroom overlooks the living area. 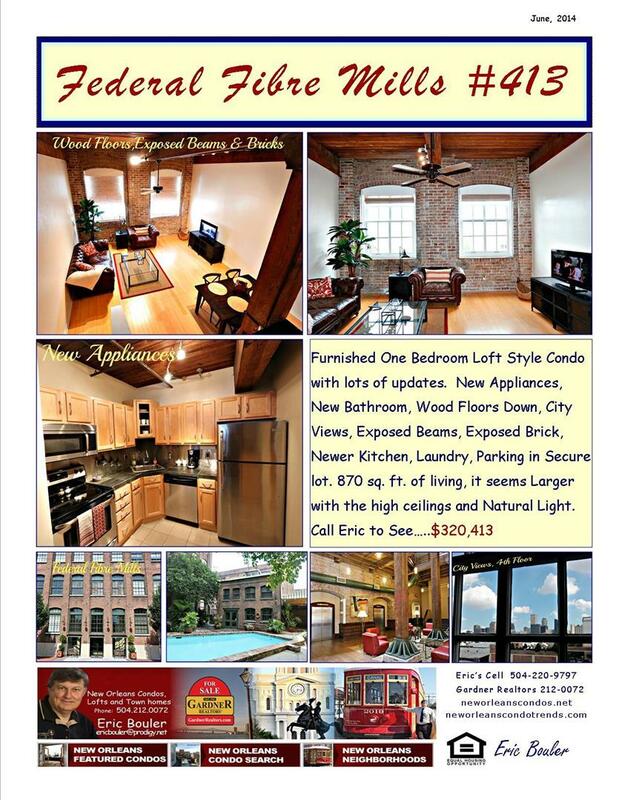 The ceilings are high that allow for this type of floor plan. 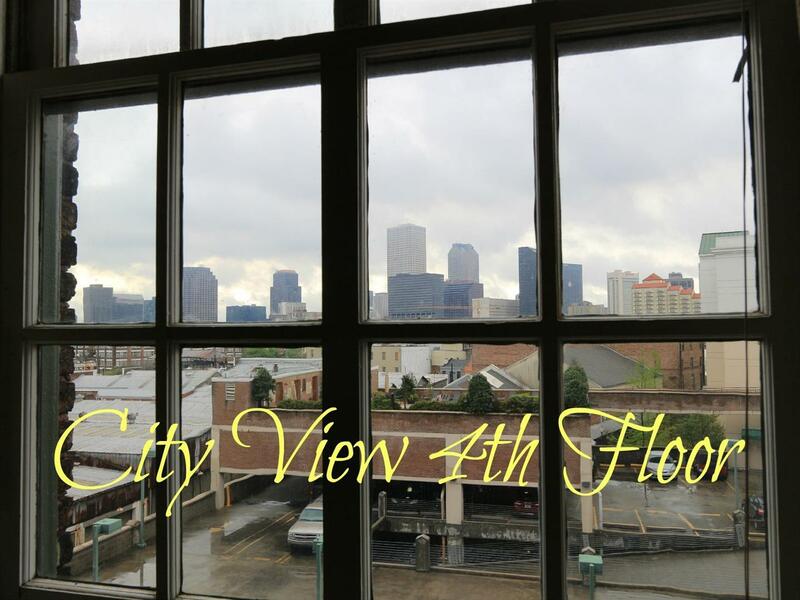 The 5th floor units are penthouses that have one floor on the fifth in the origional building and the top floor that was built on the roof in recent times. 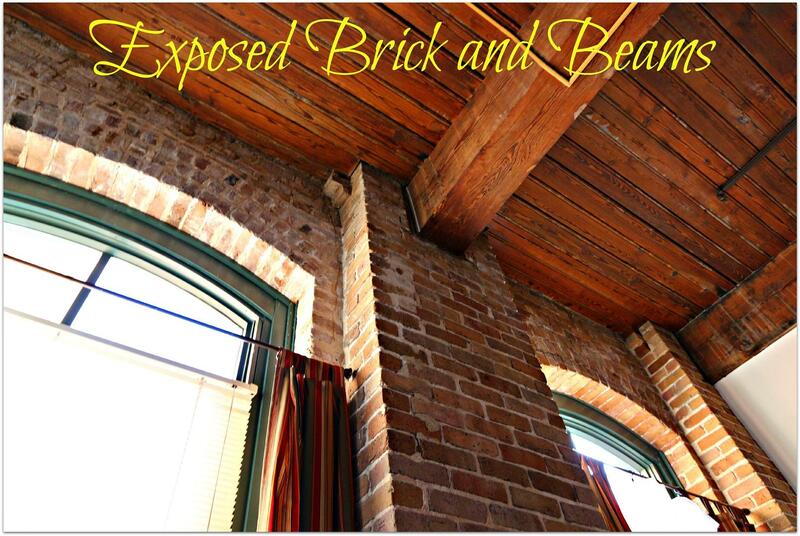 Almost all the units have exposed brick walls, large warehouse windows, exposed origional beams, and supports. The units were designed to leave a lot of the origional warehouse and factory. 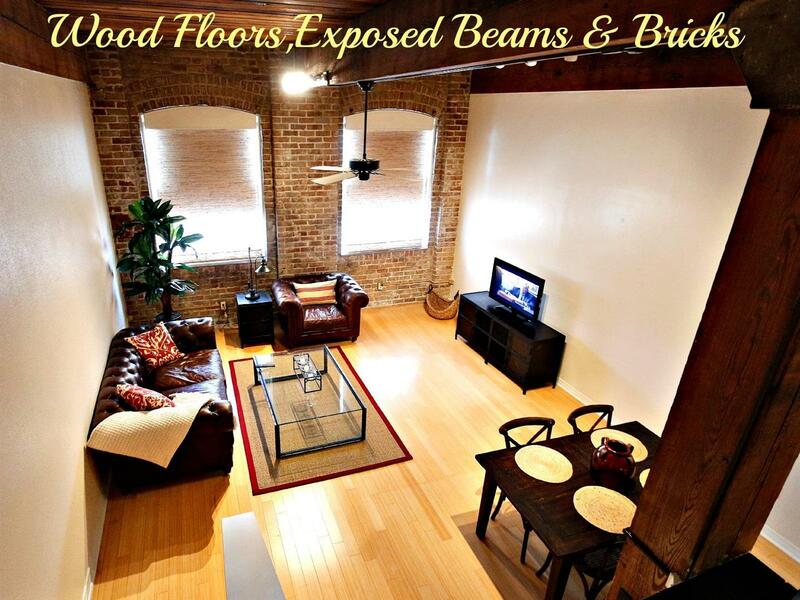 Few have origional wood floors but many owners have changed out the carpet and put in wood floors. 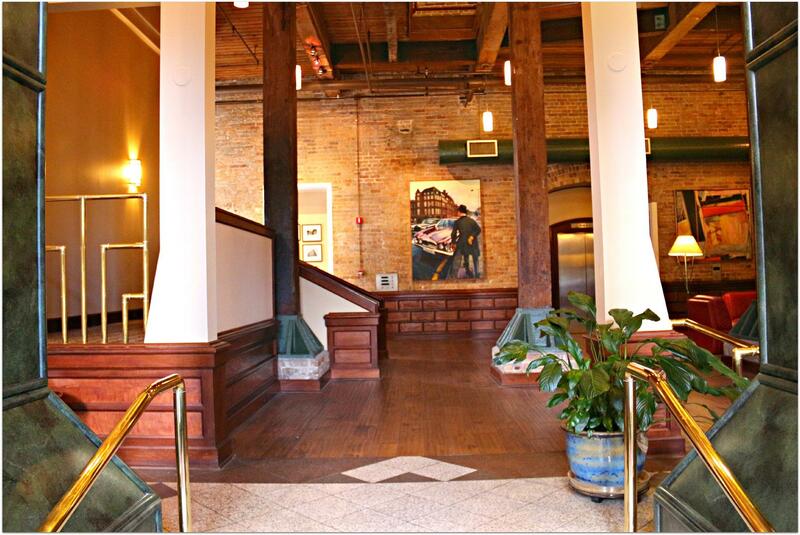 The lobby is truly unique with its 5 story atrium and exposed beams. There are two elevators in the lobby and one in the rear of the building for moving in and out furniture. 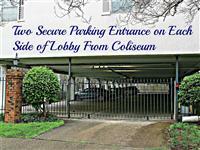 The secure entrance is manned daily til 10pm and 24 hours on the weekend. 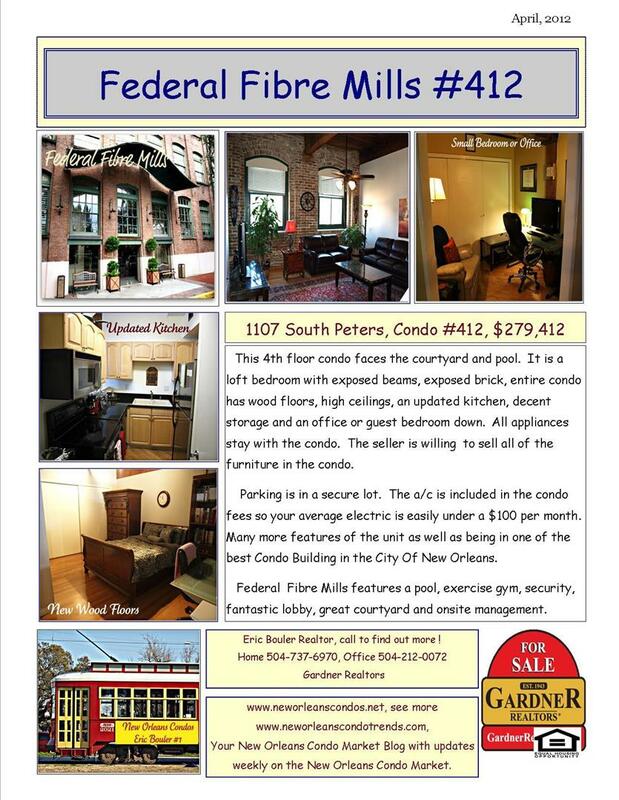 There is an on site manager that really know how to run a condo complex. 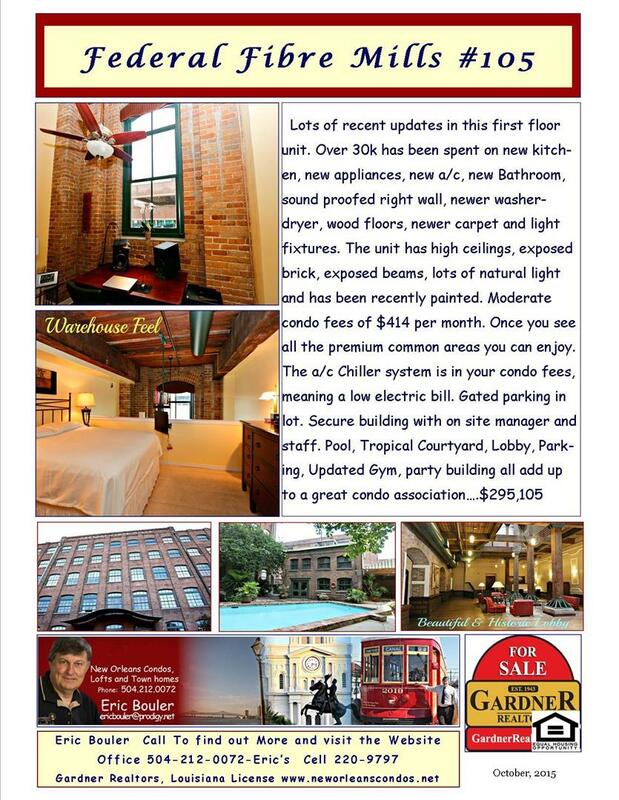 The amenities include the historic lobby, lush tropical courtyard, swimming pool, hot tub, and sitting areas. 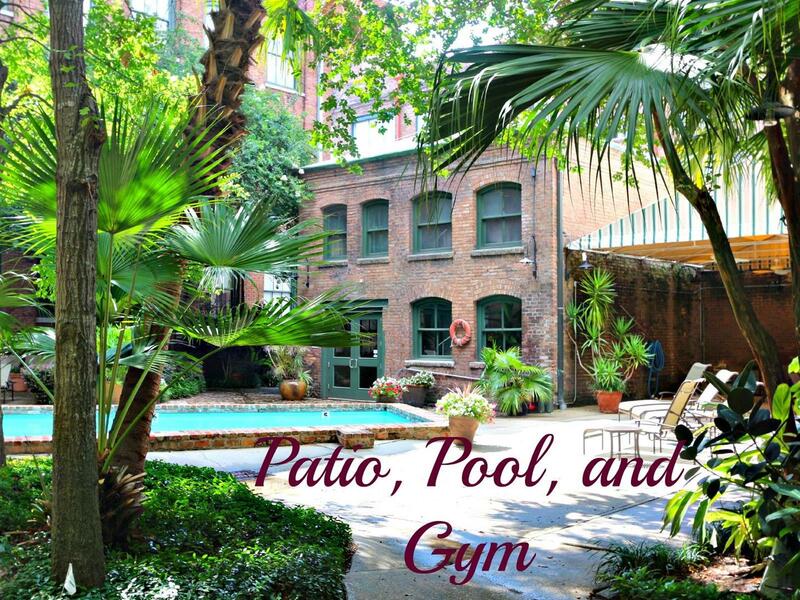 The gym is in the courtyard building. There is also a large meeting room that opens onto the courtyard. One unusual point is that the entire complex is cooled by a chiller system like one you find in hotels. Each unit then does not have its own compressor or utility bills for the cooling. The condo fees basically cover the cooling expense. This is important in that we use a/c for at least 9 months out of the year. 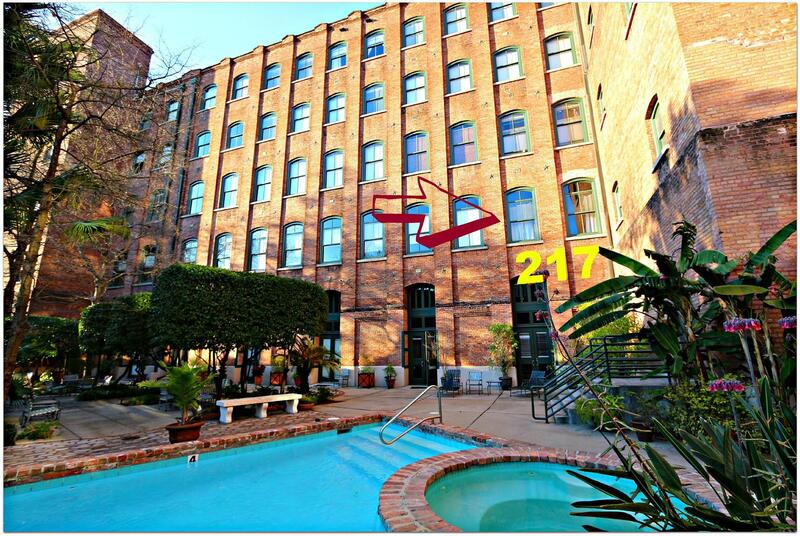 Large Courtyard, Many Units have this Inside View..